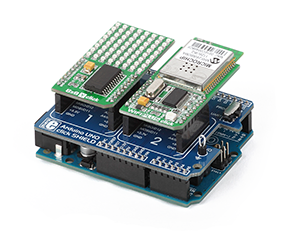 The Arduino® Uno click shield is an extension for Arduino Uno and other Arduino-compatible boards like the chipKIT™ platform. 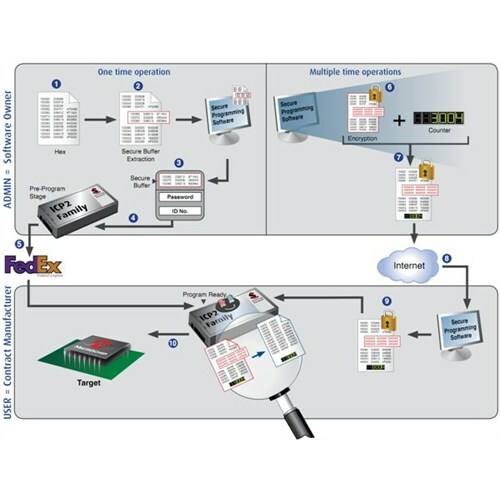 It's a simple shield with two mikroBUS™ host sockets that allow you to connect more than 75 different types of click boards. Quickly add functionalities like GSM, GPS, Wi-Fi®, ZigBee®, Bluetooth®, or thunder detection, proximity and color sensing and more. 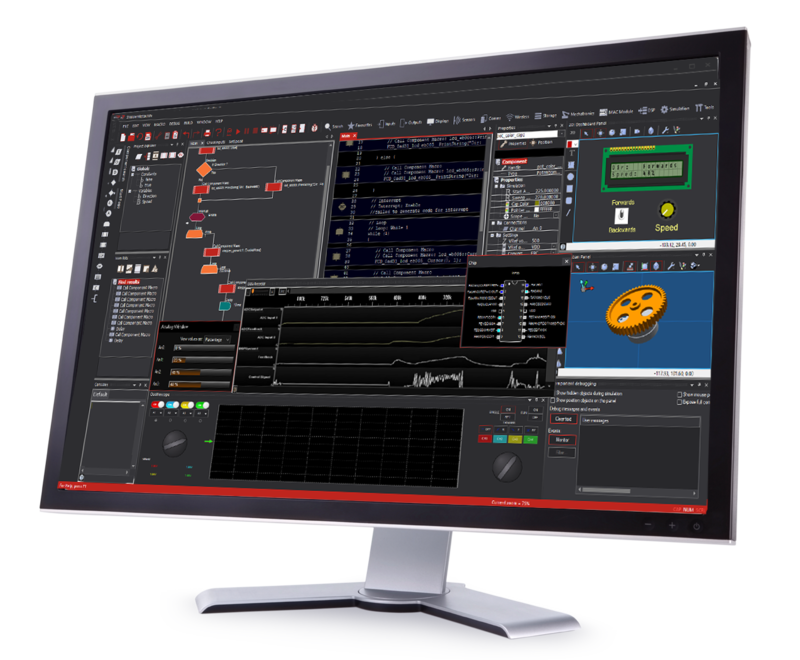 MikroElektronika is a trusted Third-Party Tool provider. The CCS EZ App Lynx Library (CCS 52600-1586) is a software library for users of MPLAB XC Compilers allowing the developer to create an interface between a Bluetooth-enabled, PIC MCU-based project and a smartphone or tablet. Then, using the free EZ App Lynx App (for Android or iOS), users can view the status of gauges, LEDs, switches, buttons, sensors, and also remotely control LEDs, relays, etc. This is possible because the code programmed on the PIC MCU using the EZ App Lynx Library essentially defines the GUI on the smartphone App and creates it at runtime. Simply open the app, scan for and select a nearby device, and you’re ready to go! Your choice of LEDs, switches, buttons, potentiometers, etc. Flowcode 7 is a flowchart-style programming tool that enables you to create complex electronic and electromechanical systems. The tool utilizes graphics in place of complex coding, meaning it is ideal for both beginners and experienced engineers. Flowcode 7 software is straight forward and easy to use, so you can develop your ideas in no time. This license gives the user the ability to program 16-bit dsPIC devices. This is the Standard version of the license, designed for you to learn programming principles for applications at home. This license does not include commercial rights and offers limited features. Users can add commercial rights (a professional license) and also further additional features after purchase of this standard license by visiting www.matrixtsl.com/flowcode. This license gives the user the ability to program 32-bit PIC devices and chipKIT boards such as the Uno32 and uC32. This is the Standard version of the license, designed for you to learn programming principles for applications at home. This license does not include commercial rights and offers limited features. Users can add commercial rights (a professional license) and also further additional features after purchase of this standard license by visiting www.matrixtsl.com/flowcode. This license gives the user the ability to program 8-bit PIC devices. This is the Standard version of the license, designed for you to learn programming principles for applications at home. This license does not include commercial rights and offers limited features. Users can add commercial rights (a professional license) and also further additional features after purchase of this standard license by visiting matrixtsl.com/flowcode. This license gives the user the ability to program AVR devices and Arduino boards such as the Uno and Mega. This is the Standard version of the license, designed for you to learn programming principles for applications at home. This license does not include commercial rights and offers limited features. Users can add commercial rights (a professional license) and also further additional features after purchase of this standard license by visiting www.matrixtsl.com/flowcode. The Softlog SEC4CH-DS Secure Programming Upgrade is a "Secure Programming" extension for the ICP2GANG programmer that provides several layers of protection--utilizing breakthrough technology--dramatically reducing the risk of unauthorized reconstruction of hex data and also limiting how many times a hex file can be programmed. Secure programming operates on two levels: the ADMIN level and the USER level. The ADMIN level of operation corresponds to the developer or owner of the software. The USER level corresponds to a contract manufacturer or anyone authorized to program devices. Using the Softlog Integrated Software, the ADMIN initializes the programmer with unique password, ID number and secure buffer. Once initialized, the programmer may be shipped to a contract manufacturer. The ADMIN can update the programmer remotely by sending encrypted files to the USER. To begin a programming job, the ADMIN uses the Softlog Integrated Software to create an environment file. The environment file includes hex data, configuration info, and one optional piece of information: a counter that specifies the maximum number of successfully programmed devices. The environment file is protected using strong encryption, and can only be decoded by a programmer that has been initialized with the correct password and ID number. The optional counter of successfully programmed devices is stored in non-volatile memory of the programmer. It can be used to ensure that only an authorized number of devices are programmed from a particular environment file. The optional secure buffer provides an extra level of security by replacing a portion of the hex data memory image with dummy values. The content of the secure buffer is stored in protected memory within the programmer, and is programmed into the target device after the complete memory image (including dummy data) has been programmed and verified. Note: Any security protocol or encryption scheme can be broken, if the attacker is sufficiently motivated and has access to the necessary resources and expertise. The Softlog Secure Programming feature is designed to dramatically reduce this risk. * Internet access is required for installation. The Softlog SEC-DS Secure Programming Upgrade is a "Secure Programming" extension for the ICP2 and ICP2(HC) programmers that provides several layers of protection--utilizing breakthrough technology--dramatically reducing the risk of unauthorized reconstruction of hex data and limiting how many times a hex file can be programmed. Secure programming operates on two levels: the ADMIN level and the USER level. The PCWH CCS C IDE Compiler supports all 8-bit Microchip PIC MCUs (PIC10/12/16/18 families) allowing developers to manage every aspect of their embedded systems development, from code creation through device programming. The PCWHD compiler supports 8-bit and 16-bit Microchip MCUs (PIC10/12/16/18/24 MCUs and dsPIC DSC families) allowing developers to manage every aspect of their embedded systems development, from code creation through device programming.